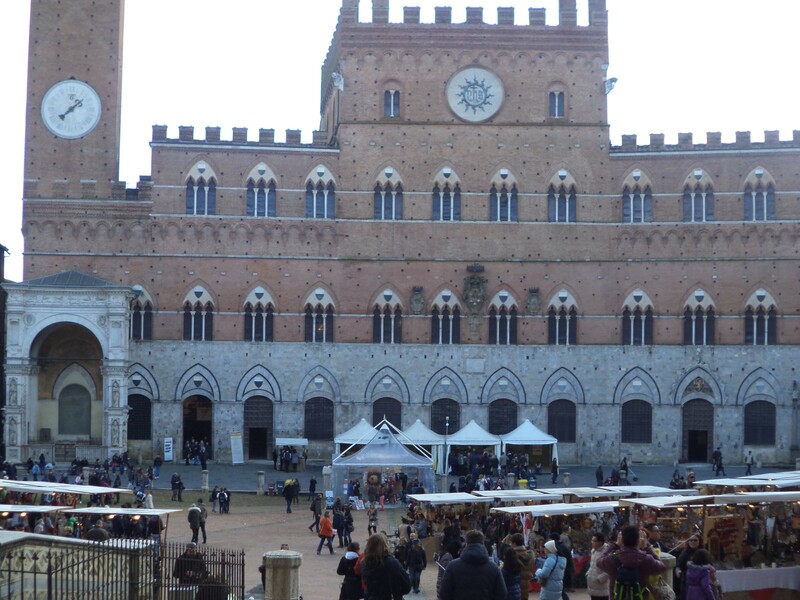 Mercato nel Campo 2014 | Just Visit Siena ! Mercato nel Campo 2014 ! The best of the winter – Christmas is coming! Probably in your city you can see it all around. So do I, here in Siena. 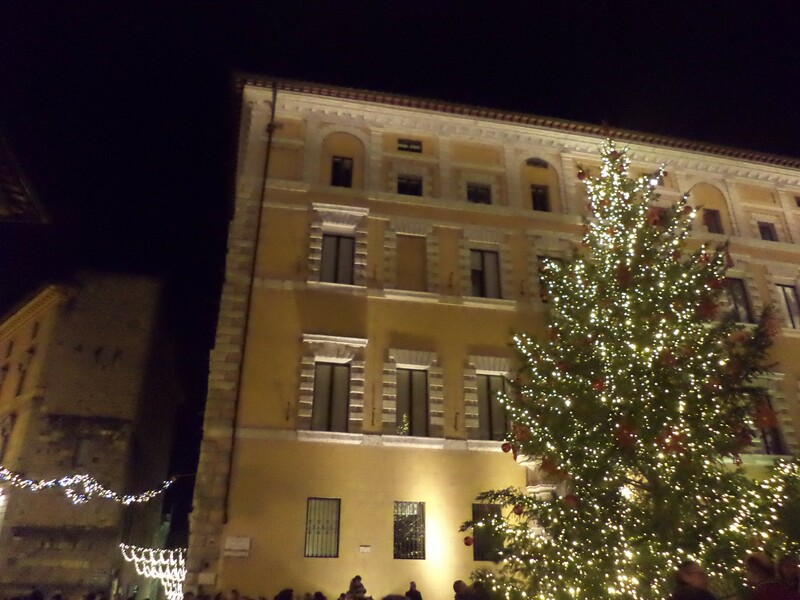 The history center’s streets are decorated with lights and with a big Christmas tree. This makes a great and unique atmosphere that attracts us to leave our houses in the evening! With pleasure! And as I wrote last year good moments are passing so fast! But the most important is that they are coming again. 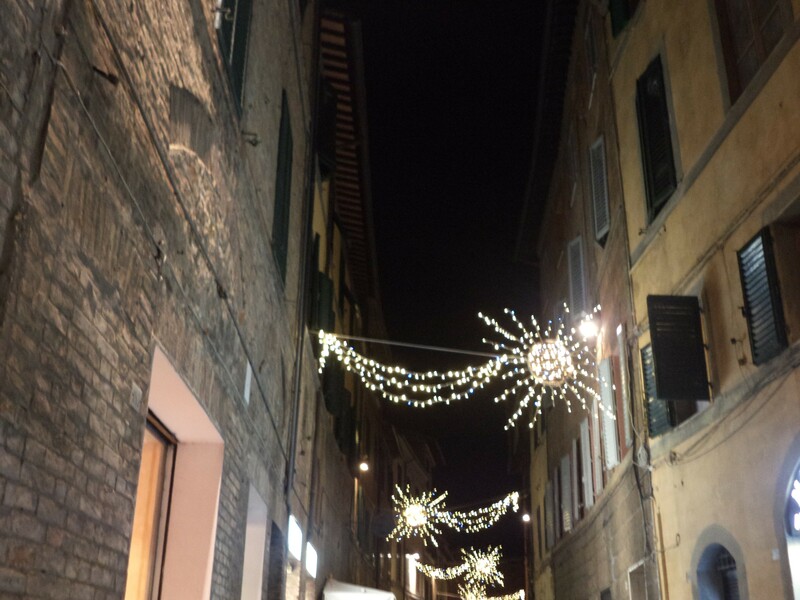 Saturday 6th December and Sunday 7th December since 8 am till 8 pm, Siena hosted: Mercato nel Campo. Weather was really good and center of Siena in the incredible crowded! It was hard to move. 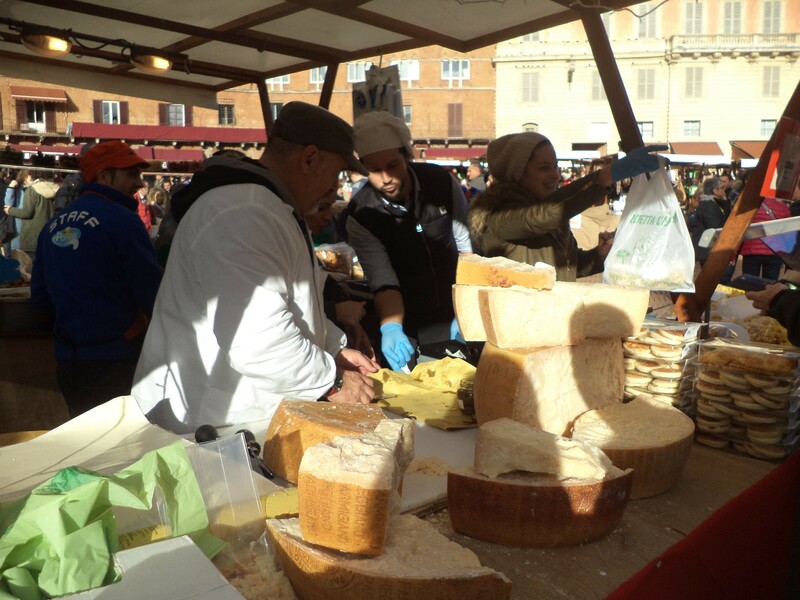 As you already know (from last year :)) Mercato nel Campo is a modern market of tradition and excellence of Siena. On Piazza del Campo were located over 140 sales counters. 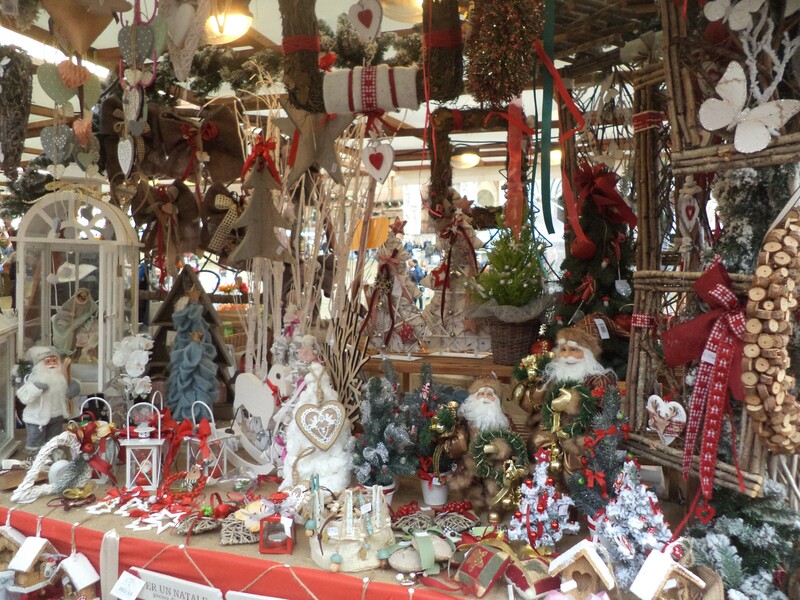 We had again a great possibility to admire arts of the local artisans that performed their work live and buy handmade goods and unique Christmas decorations. However we are in Italy and the most important here is of course food and eating. So the most occupied were food’s stalls. Sellers encouraged us to taste and purchase their products! It wasn’t hard because after tasting it was hard not to buy to taste more! Also amazing smell in the air made you for sure hungry! Typical products that is of course cheese (with pecorino ahead); wines; virgin olive oil; huge choice of honey; meats; sweets; pasta; marmalade . . .
After food (couldn’t be inversely of course) we could pass the other part . . . of stalls. There mostly Christmas decorations so this what we need now the most! I wasn’t able to take my eyes off stalls! So we could get something that will remind us that Christmas is so close or something that will be a very nice gift! These two days were again priceless . . . Now we are waiting for Christmas and for next Mercato nel Campo.